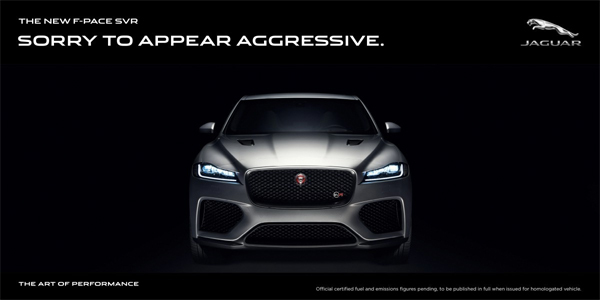 Jaguar F-Pace SVR coming soon. Call 239 1000. Click image to enter Facebook. For a limited time only. BBQ Beef Texas XL, BBQ Chicken Tendergrill and BBQ Spicy Chicken Tendercrisp. 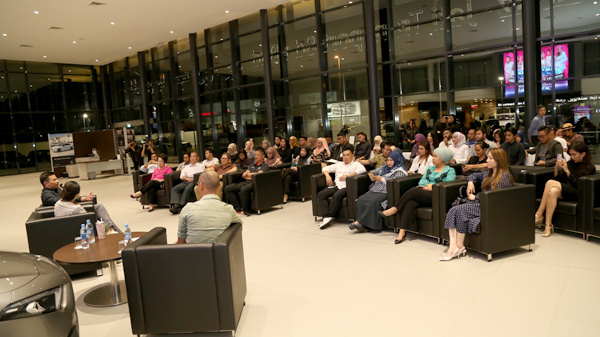 Last night saw the top 15 vying for the top prize as they were already shortlisted a week prior to the grand draw. 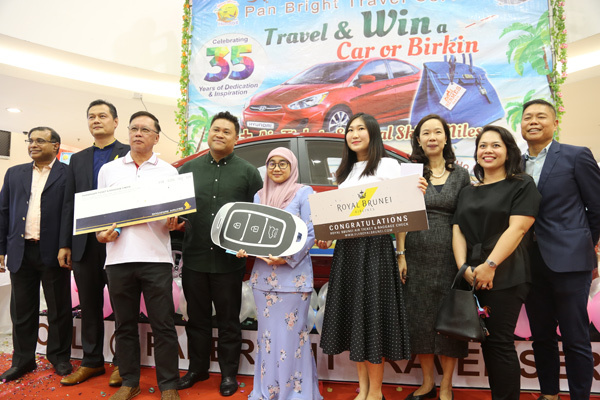 The grand prize of the Pan Bright Travel Service 5th Annual “Travel & Win a Hyundai or Birkin Promotion” 2019 was a brand new Hyundai Accent or an exclusive Hermès “Birkin” bag sponsored by the said travel agent. 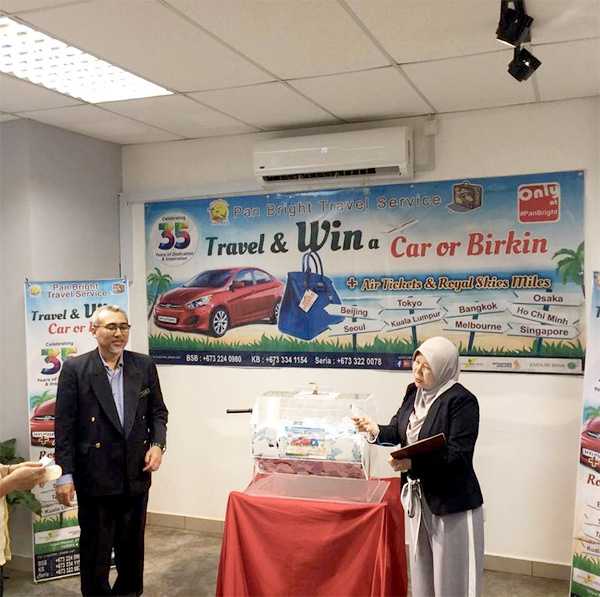 On hand to present the grand prize was Abdul Rahman Abu Bakar, the Managing Proprietor of Pan Bright Travel Services. 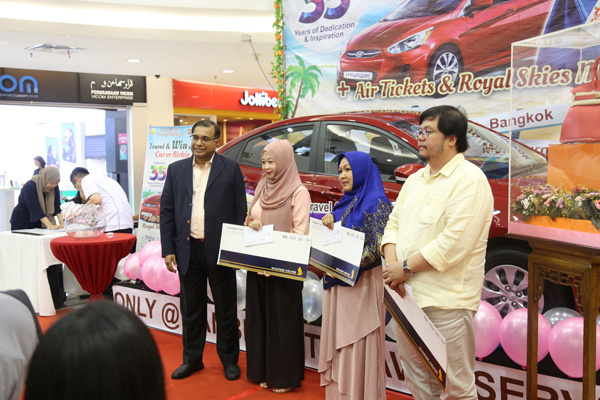 The grand winner was Yuslinayati Yusof who chose the Hyundai Accent instead of Birkin bag. Second prize went to Serine Khoo who won a trip to Melbourne while third prize went to Gary Young Chee Wai who won a trip to Seoul. 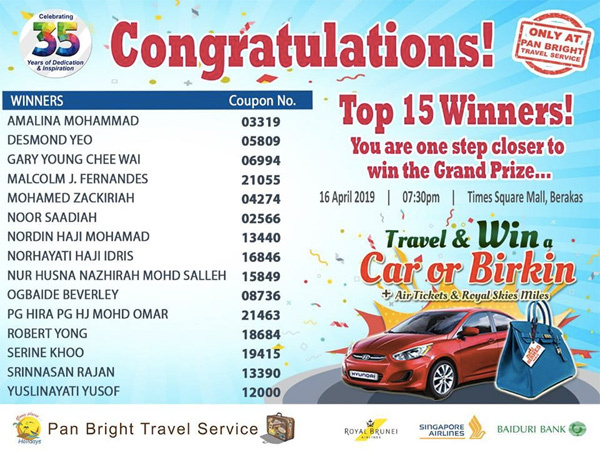 The good thing about the grand draw was that all the top 15 finalists will walk away with prizes sponsored by Baiduri Bank, Royal Brunei Airlines and Singapore Airlines. 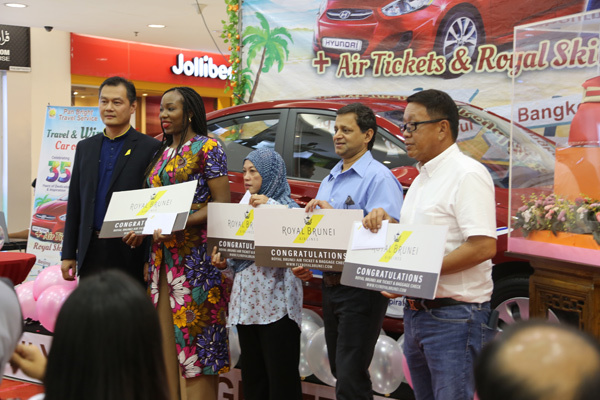 The prizes included return air tickets to Melbourne, Bangkok, Kuala Lumpur, Singapore, Ho Chi Minh, Tokyo, Seoul, Osaka, Beijing and Royal Skies Miles valued from 10,000 to 25,000. 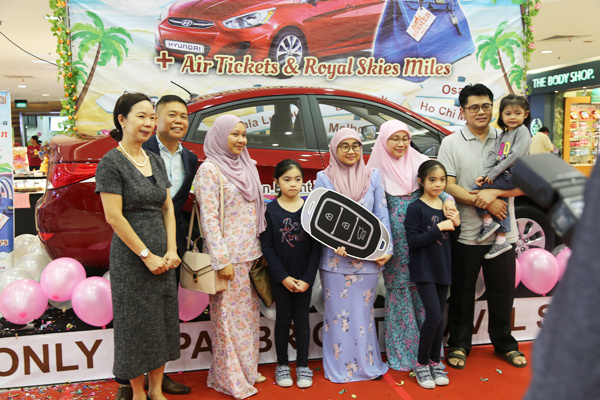 Members of the media, senior management of Pan Bright Travel and other representatives from Royal Brunei Airlines, Baiduri Bank, Tourism Malaysia (Brunei) and Sabre Brunei were present to witness the event. 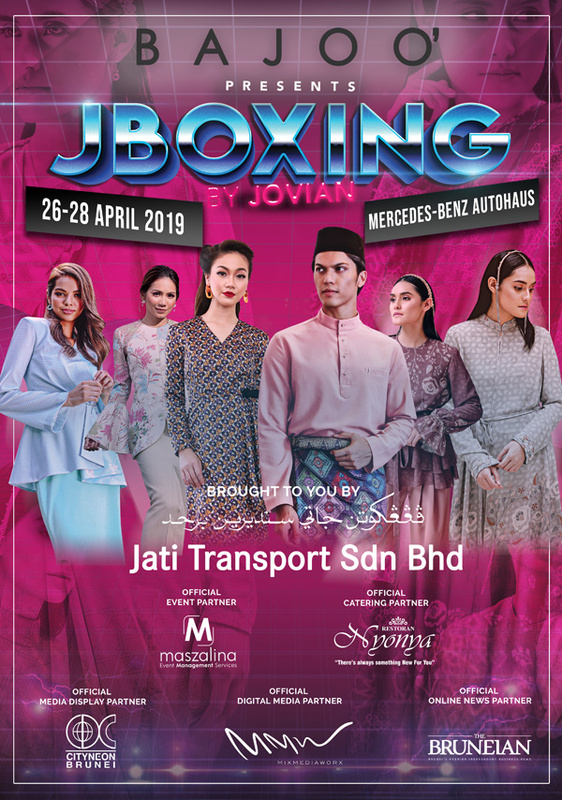 Continuing the success of 2 consecutive years of the annual ‘Raya’ sales event, JBoxing is returning to Brunei for its third year with brand new image, bigger venue, greater deals and more options from Jovian Ready-To-Wear for people to choose from. 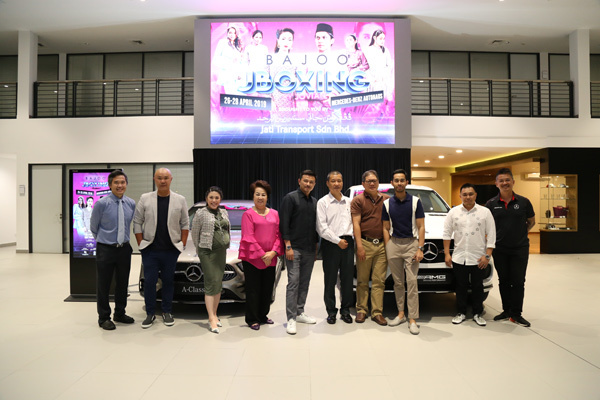 Taking place at the Mercedes-Benz Autohaus from 26th to 28th of April 2019, 10 AM to 10 PM, the event is presented by the Bruneian powerhouse atelier and multi-label store, Bajoo Butik who remains as the Title Partner for the event and with an exclusive partnership with Jati Transport Sdn Bhd that is set to give a new reach, exposure and higher milestone. 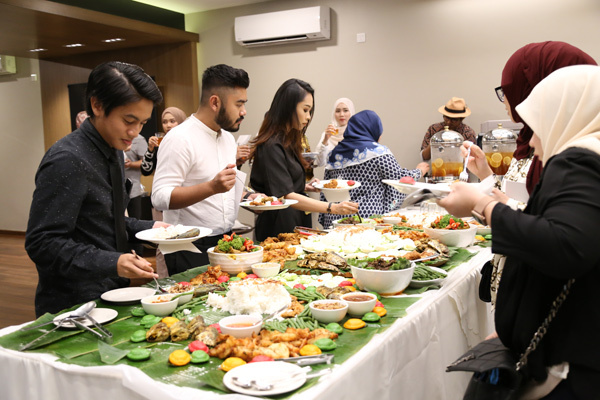 “We have been so blessed with the overwhelming response we had received from our dearest Jovianistas in Brunei every year that without a fail, it’s the most exciting thing for us to keep coming back here. And this year, we thought we wanted to offer something bigger than what we’ve done before. 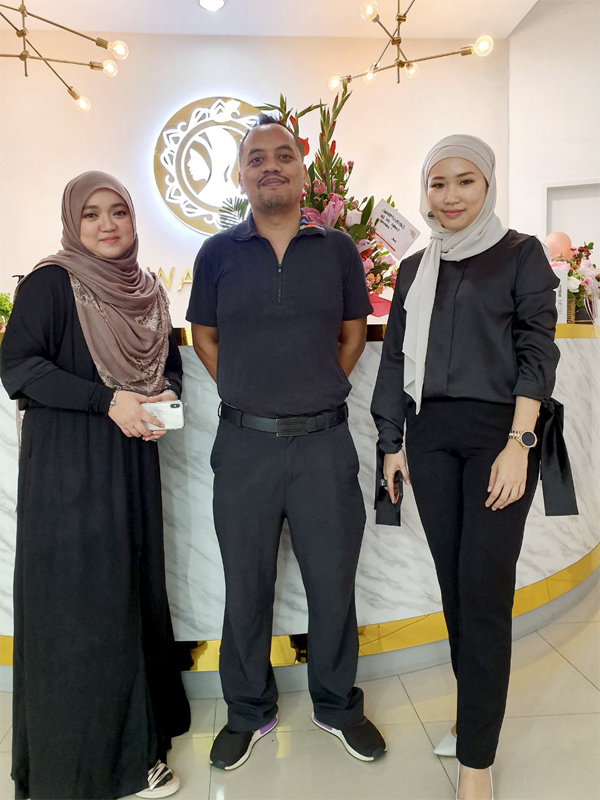 New partners, new space and (of course) new collections!” –Dato’ Jovian Mandagie, Chief Executive Officer of Jovian Apparel Sdn Bhd and Creative Director of Jovian Ready-To-Wear. 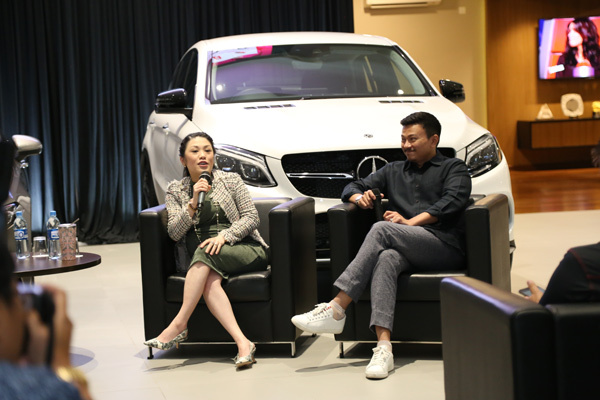 To fill a much bigger space at the Mercedes-Benz Autohaus’ flagship showroom, the event will carry a range of new collections from ‘Secret Garden’, ‘Jovian x Ria Miranda’, ‘Jovian Men’, ‘Jovian x OhMostWanted’, ‘Retro Raya’ and ‘Lace Edition” from Jovian Basic Raya. Not to mention, there will Jovian Hijab Exclusive to be launched exclusively during J Boxing Brunei only. 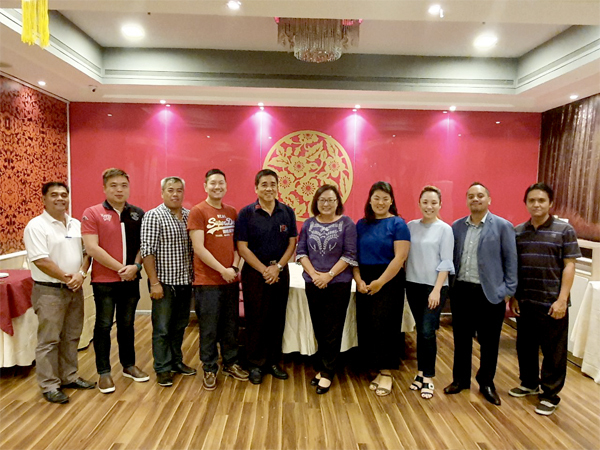 Joining in as the official Event Partner for J Boxing, Maszalina Event Management Services is the brainwork behind this year’s event setup to ensure the best shopping experience. With over 16 years in the field, Maszalina Event Management Services has handled massive production from corporate events, wedding, sales event, annual dinner, expo, and many more. Apart from that, J Boxing is also supported by its other main corporate partners such as Mix Media Worx as the Official Digital Media Partner, Nyonya as the Official Catering Partner and CItyneon as the Official Media Display Partner. For this three-day event, Jovian Ready-To-Wear will give away 15 special items to 5 lucky shoppers each day, not to mention special deals and promotions that will be happening during the period of ‘Happy Hour’ that should not be missed. Prices start from as low as BND10 and discounts up to 50% on selected items. The brand TEIN has been around in Brunei for the past few years. Many car enthusiasts will be aware of the TEIN brand as they are known for good quality shock absorbers for your car. Recently AutoMagination company has brought in newer models of TEIN absorbers which are known as TEIN EnduraPro series. 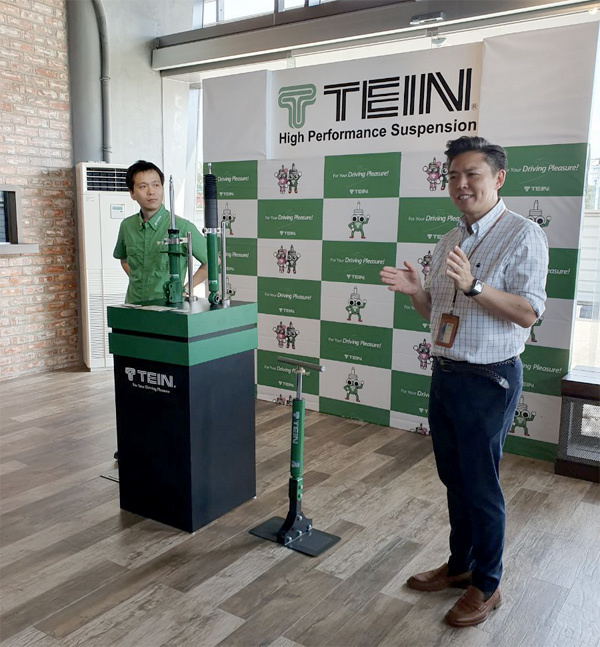 The latest models from TEIN was launched with the presence of the TEIN, INC (Japan), notably Mr. Yasushi Furubayashi, Director of TEIN, INC, Mr. Tomoaki Himeno, Overseas Sales Manger of TEIN, INC and Mr. Ayumu Kikuchi, Overseas Sales Person of TEIN, INC. Also present was Lim Jin Lee, Executive Manager of AutoMagination, the sole distributor of TEIN products. 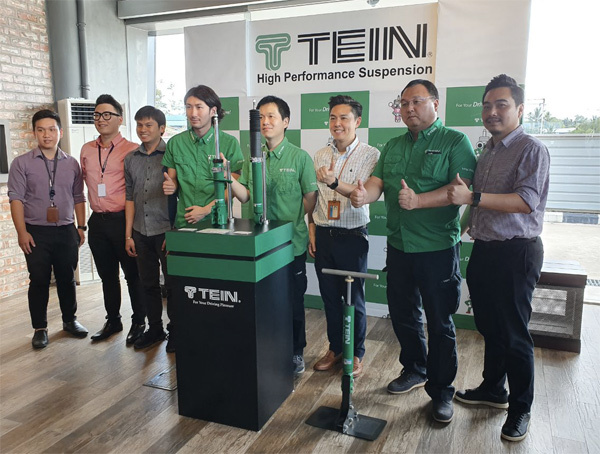 For the record, TEIN, INC. is a well recognized reputable manufacturer and distributor of high-quality automative suspension parts. 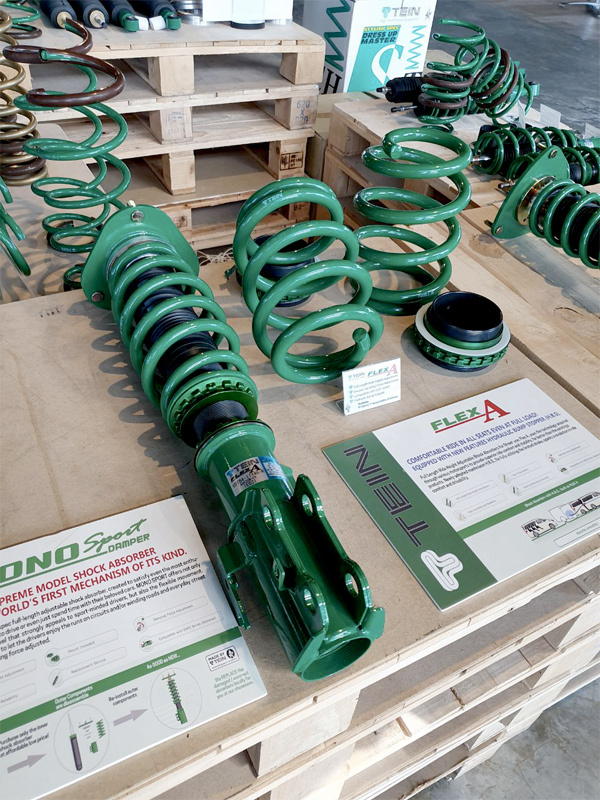 So if you really, really, really want good quality suspensions, the choice is definitely TEIN. Now with a better version, the EnduraPro Series, you can expect comfort, reliability, durability and adjustability to cater to different road conditions (especially in Brunei), streets, highways and winding roads for better ride quality. 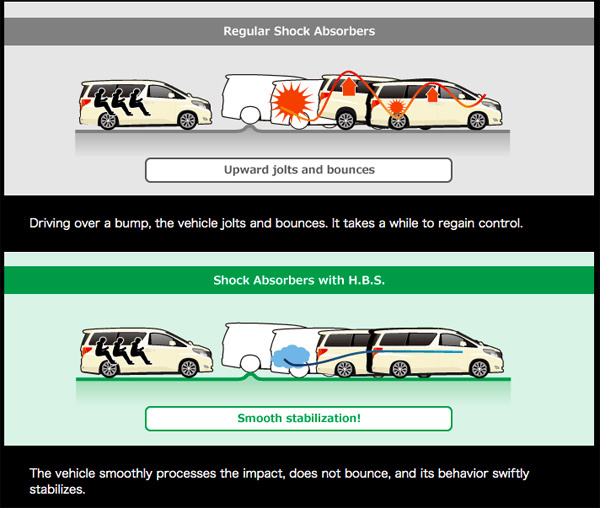 The new feature being highlighted is the Hydraulic Bump Stopper (HBS). Basically this feature helps to convert the impact of the stroke to thermal energy (heat) and absorb it. This means it reduces the impact that disturbs the vehicle’s behaviour. 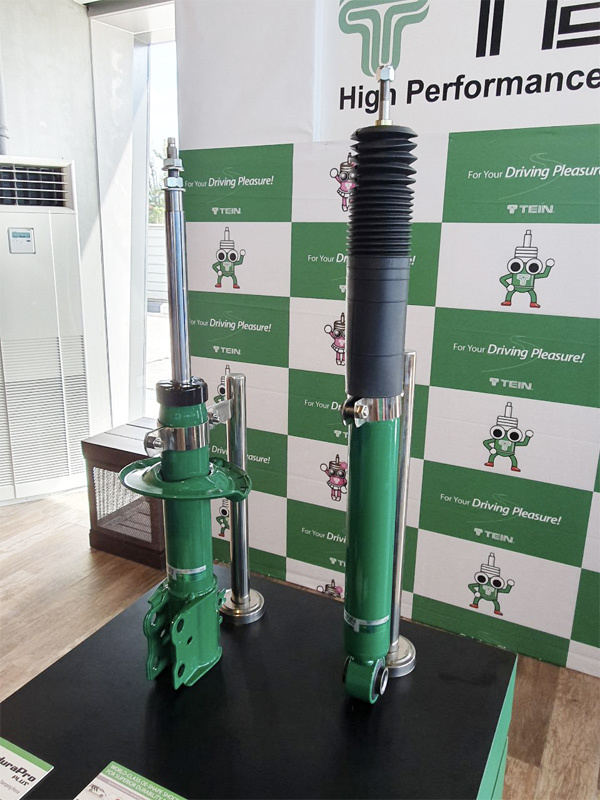 This also means less damage or harm on the dampers in the long run and hence, increases the durability of the shock absorbers. If you prefer a much better absorber, then I would recommend the EnduraPro Plus because it’s adjustable – whether you want it softer or firmer. Furthermore, if you want a much better experience with the EnduraPro Plus, then invest in the EDFC series where it’s a gadget that sends signal via an electronic controller from the cockpit and remotely adjust the damping force. So you may be wondering to which cars are suitable for this? Well, any comfort cars are highly recommended with the new TEIN absorbers, be it Japanese cars (Toyota, Nissan, Honda), be it Korean cars (Hyundai, Kia). 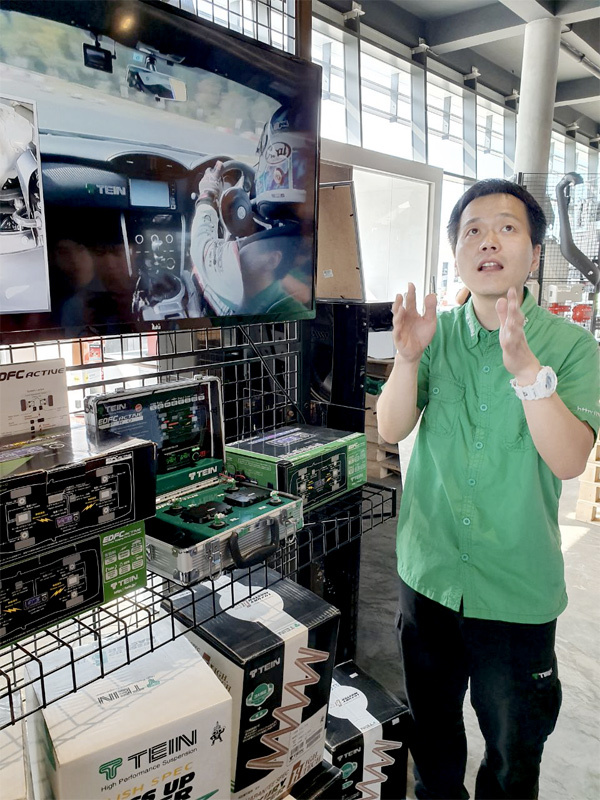 Those interested to know more about the TEIN latest products, do visit their showroom at Lambak Kanan Industrial Area at AutoMagination. 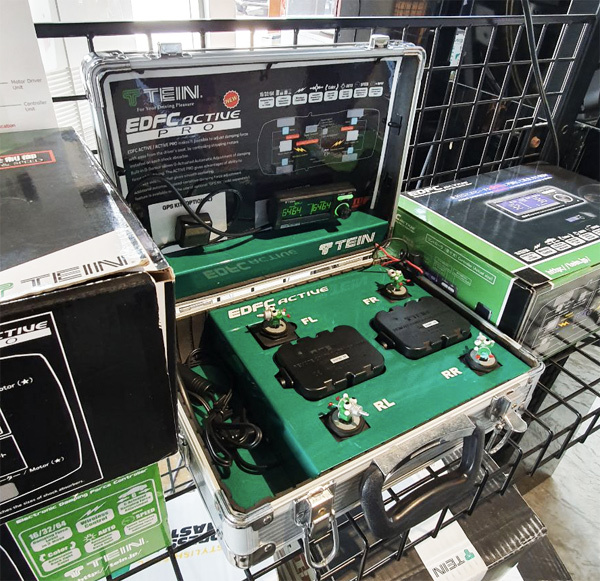 Oh yea, it also offers one year warranty for all TEIN products. Would I recommend to install one? I would say yes if you are concern too much about the roads here in Brunei and if you drive to Miri regularly, this would be so, so ideal because of the bumpy road conditions. 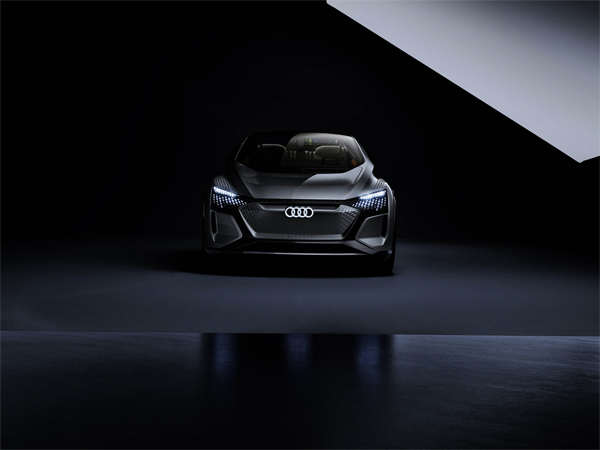 Audi AI:ME and Audi AIcon: two concept cars whose very names refer to the new, two-letter abbreviation under which Audi is bundling an entire cluster of innovative mobility technologies. Audi AI is the cipher for a variety of electronic systems that relieve strain on drivers and simultaneously offer them new possibilities to use the time spent in the car. 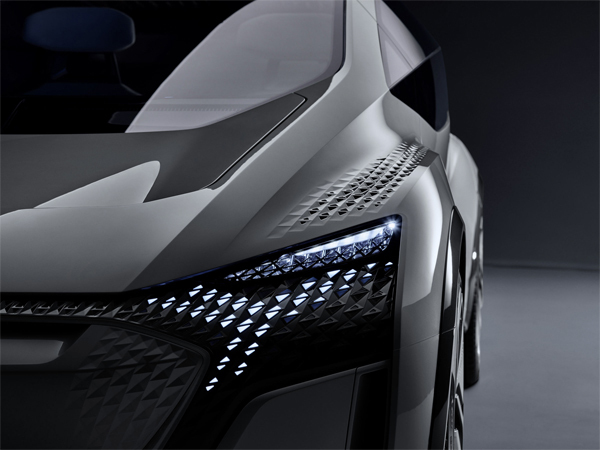 To this end, Audi AI also uses strategies and technologies from the field of artificial intelligence and machine learning. Audi AI also combines vehicle intelligence, which makes automated driving possible in the first place, and interaction intelligence, which turns the vehicle into the occupants’ partner. 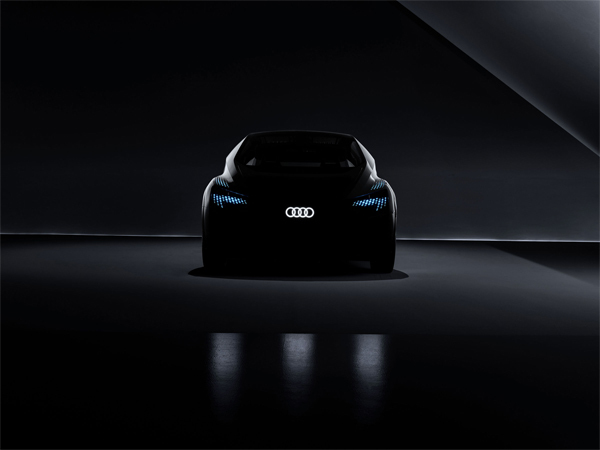 The name of the Audi AI:ME thus already makes the connection between AI and the users themselves.Audi AI systems are capable of learning and thinking, while also being proactive and personal. Thanks to Audi AI, models bearing the four rings will be both intelligent and empathetic in the future. They will be able to continually interact with their surroundings and passengers, and thus adapt themselves in a better way than ever before to the requirements of those on board. 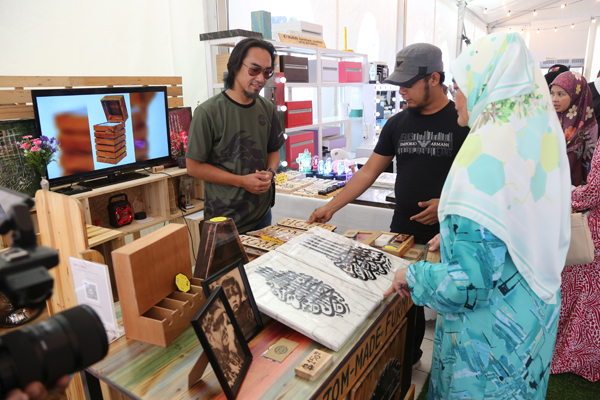 It’s the 14th edition of the BIBD’s 14th “Home Showcase Festival” and this has become a household name in Brunei Darussalam. I remember attending almost all their home showcase events but to date, this is the biggest because it’s held for three days (12th to 14th April). 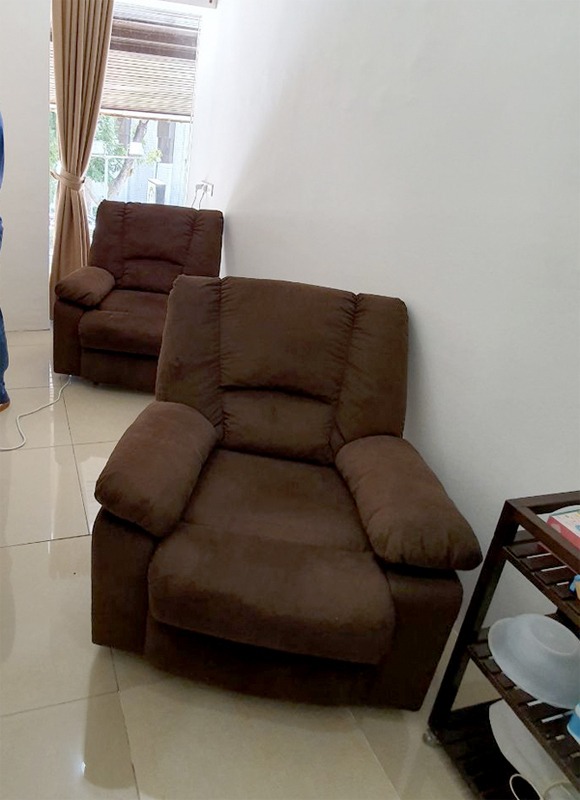 Buying a home has slowly become a culture among Bruneians and BIBD wants to ensure that home buyers’ dreams can become a reality by facilitating their needs with every step of the way. 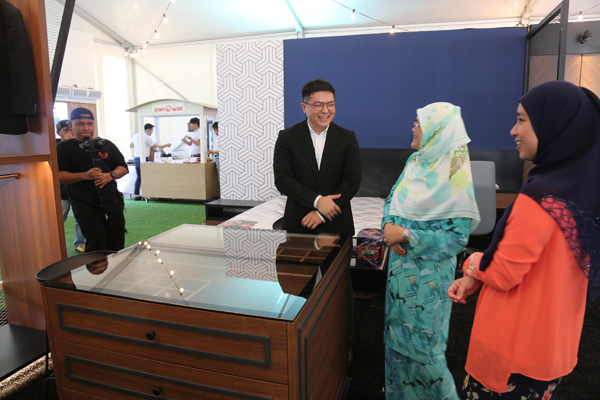 According to Hajah Nurul Akmar binti Haji Md Jaafar, BIBD Head of Retail Banking, the Home Showcase will benefit the home owners and also providing a one-stop platform for current and prospective homeowners especially the young professionals. 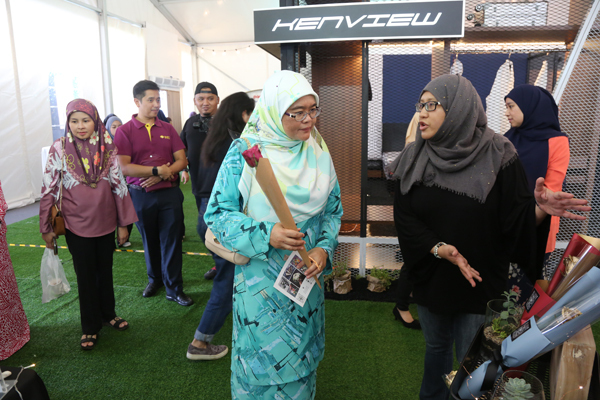 Officiating the ceremony last Friday was Datin Paduka Dr Hajah Norlila binti Dato Paduka Haji Abdul Jalil, Permanent Secretary at the Ministry of Culture, who spent quite some time visiting all the vendors that participated in the Home Showcase Festival. Of course, let’s not forget BIBD’s QuickPay function where it’s cashless payments where you don’t need to fork out your physical money. I have been actively using it and I find it very, very convenient. The adoption rate was pretty good during Brunei’s MSME where the usage of QuickPay doubled, showing signs that people are ready to go cashless. 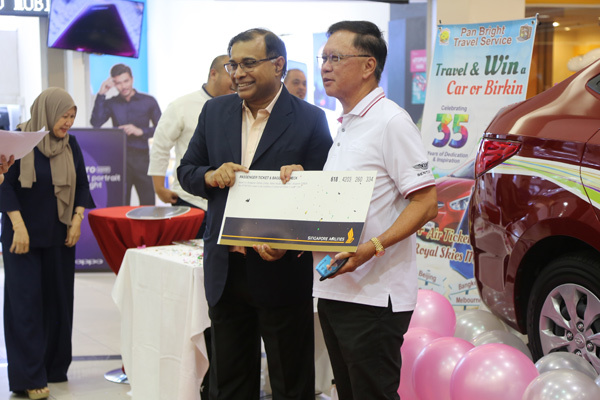 Customers can also get a BIBD NEXGEN Foldable Shopping Bag as long as stocks last with a minimum spending of BND10. 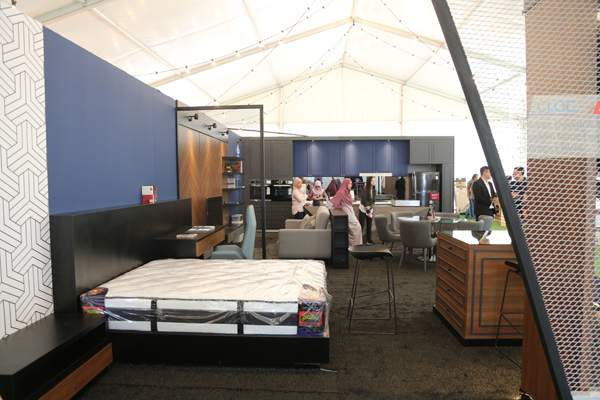 The event also served as an avenue for local entrepreneurs and small and medium and enterprises (SMEs) as well as partnering realtors and interior designers to showcase their products and services. 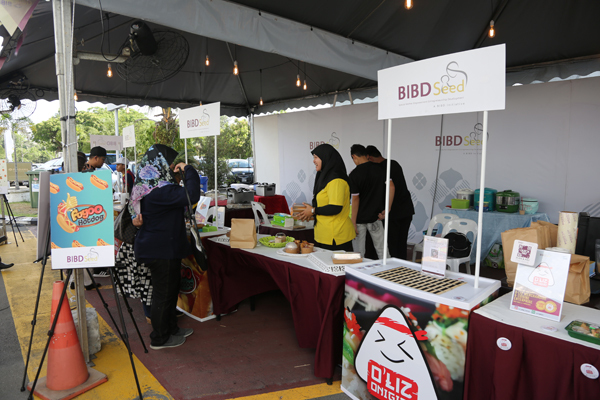 BIBD Seeds, a special program for “Special Mothers Empowerment Entrepreneurship Development” Programme, aimed to transform underprivileged mothers into successful and resilient entrepreneurs, and some of the BIBD Seeds participants were present to sell their food and beverage business. 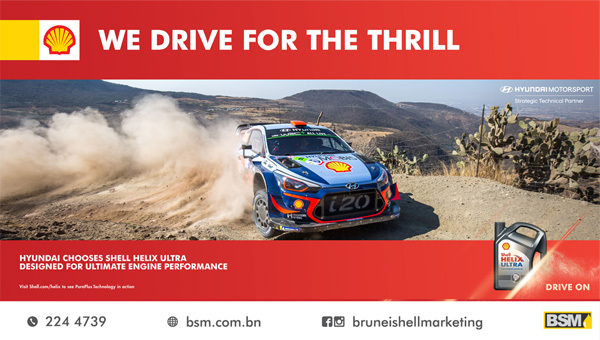 Some of them will be graduating by end of April 2019 under the BIBD Seeds programme and soon, the second batch of entrants will partake in this successful program. 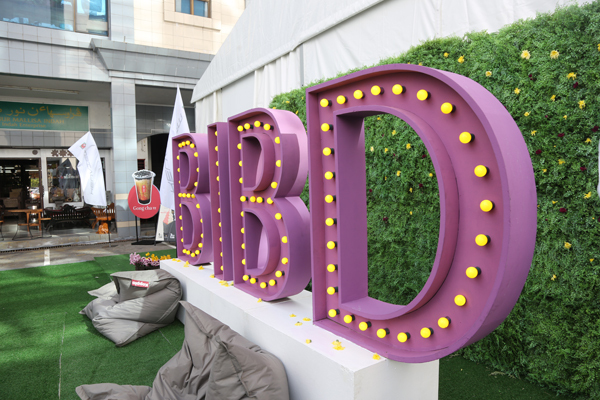 BIBD Home Showcase ends this Sunday. So do drop by BIBD Kiulap later and check out your home needs and also the local vendors participating in the event. An up and coming tuition school, Edu Champ Academic aims to change the way Brunei sees education – one neighbourhood at a time. 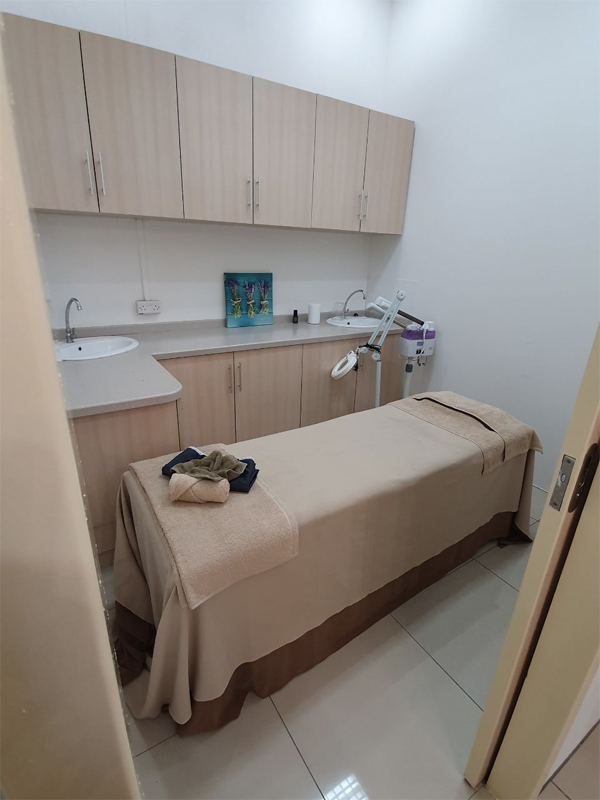 With affiliated branches in Mentiri, Berakas, and Rimba – and more on the way, the goal is to make quality tuition available to as many corners of the country as possible. 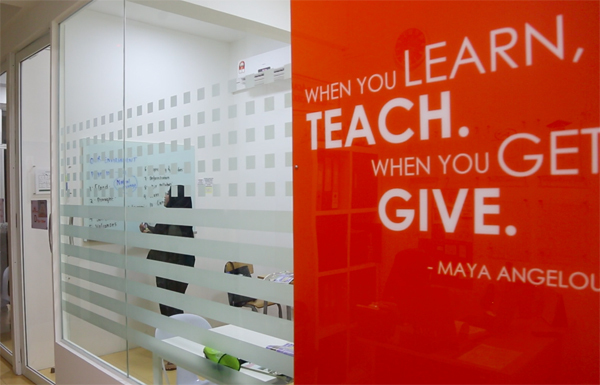 “Our vision is to be a friendly neighbourhood tuition school. I have students from Masin, Serasa and even Tutong! 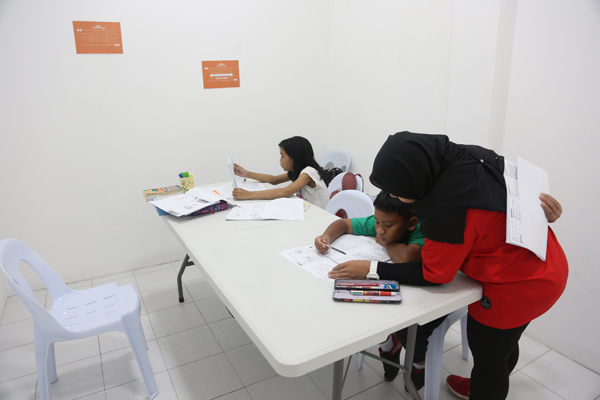 That’s why we try to open in so many places – to make it more convenient for the parents”, said Sumi, one of the founders of Edu Champ Academic who teaches at the Rimba branch. Founded in 2017, Edu Champ Academic saw the need for accessible and affordable education to the citizens of Brunei. They wanted the opportunity to not only help the students, but also the parents and teachers – by saving funds on transportation fees and reducing class sizes so learning can be more effective. “We actually wanted to explore up to what extent a tuition school can be developed into. Because in Brunei, a traditional class would be like, 4 classrooms, whiteboard, the teachers come and teach, and that’s it. But actually, it can be something more, or beyond that. With small class sizes, the teachers can focus on individual students better,” stated Wong Teck Sion, who is responsible for the day-to-day operation of Edu Champ Academic. Teachers of Edu Champ Academic are also not restricted to one tuition school and are able to move between affiliated tuition branches. This way, students can have their teachers close to them instead of driving long distances for education. In addition, the teachers themselves can choose to take on more classes at different schools, supplementing their income with extra earnings and providing a more stable employment. “We want to be able to set standards of how tuition schools are being run in Brunei. We want those who are running home tuitions to come out, to use our facilities and teach. 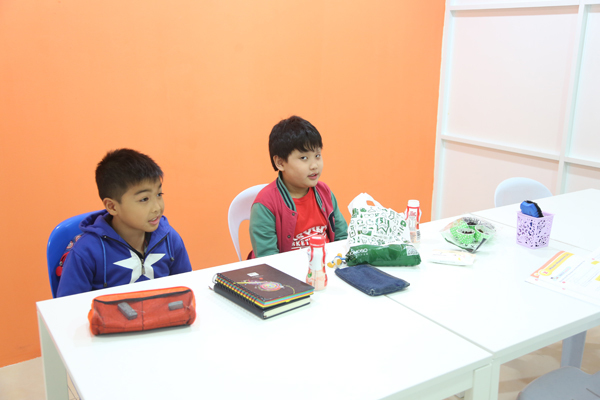 We have different visions of trying to establish ourselves as a neighbourhood tuition school. And trying to encourage more people to come in and see tuition as a career. Which means we are moving forward with the MOE agenda,” stated Allen Ang, who plans for the growth and expansion of the tuition school. For more information on the locations of each branch of Edu Champ, as well as the range of subjects that they offer, visit www.educhampacademic.com or follow their social media accounts at @eca_tuition_school for IG and educhampacademic for FB. 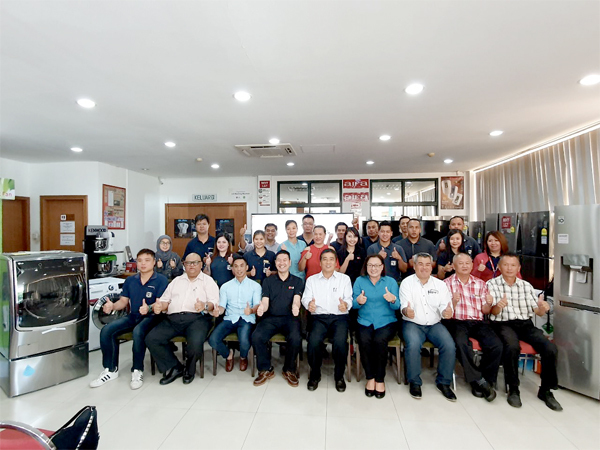 The management of Aifa Sdn Bhd with Tan Wee How, Product Trainer/In-Store Management, LG Electronics Singapore Pte Ltd (fourth from left) during the LG training workshop yesterday at Aifa Headquarters, Lambak Kanan Industrial Area. 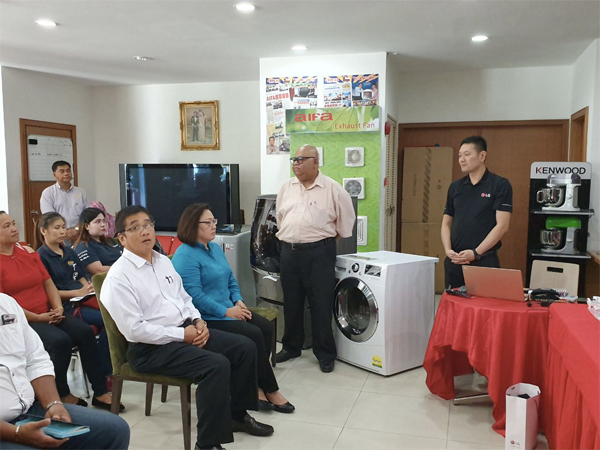 Yesterday, Aifa Sdn Bhd, a sole distributor for LG, held a training session for the staff to be familiar with the current LG products ranging from washing machines to refrigerators to audio visuals (TVs). The training session was held at Aifa HQ at Lambak Kanan Industrial Area. 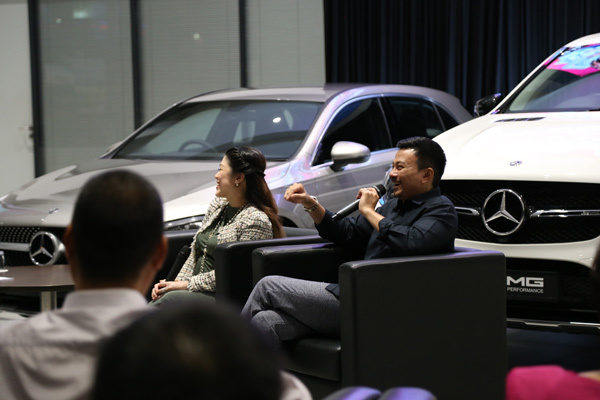 Present during the training session were Mr. Andy Lau, Managing Director of Aifa Sdn Bhd and Madam Lily Ngo, General Manager of Aifa Sdn Bhd. 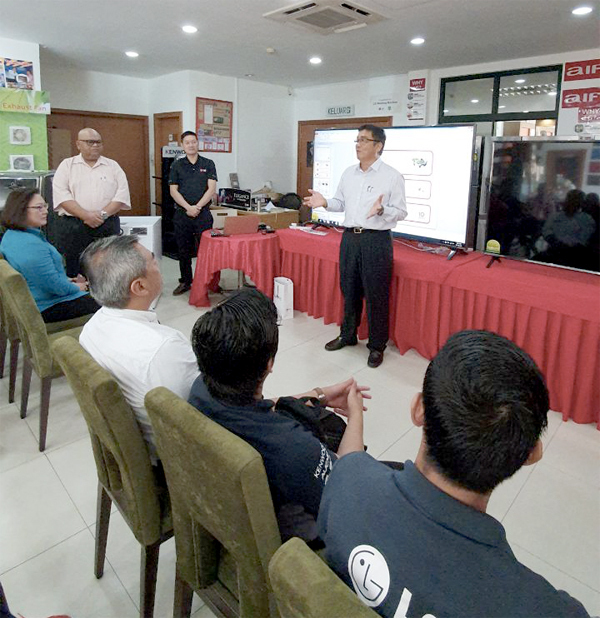 Conducting the LG training was Tan Wee How, Product Trainer/In-Store Management, LG Electronics Singapore Pte Ltd. 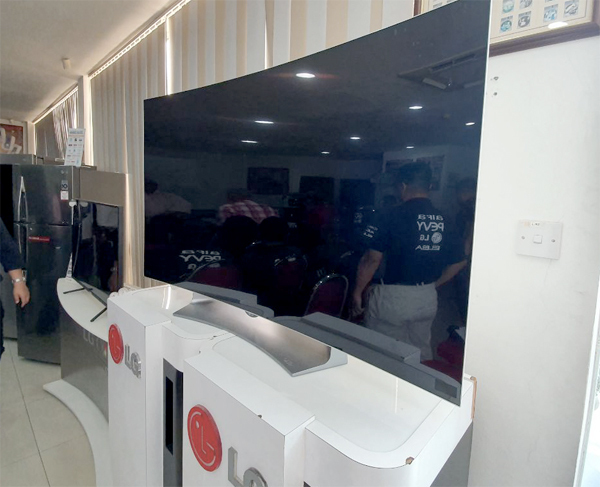 He conducted a day workshop for the staff of Aifa to learn the functions and features of LG products that will be sold in Brunei Darussalam. 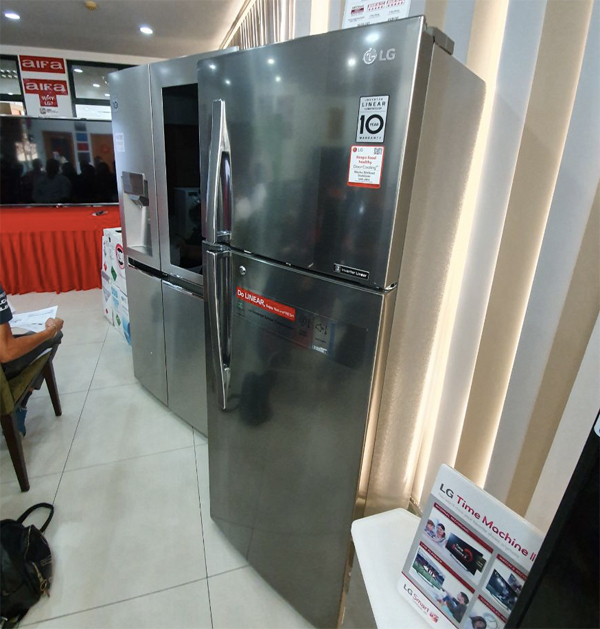 Mr. Andy Lau said that LG is one of the top products worldwide and he believes that it’s important for the staff to be aware of the LG products. Otherwise the products will be meaningless to consumers. 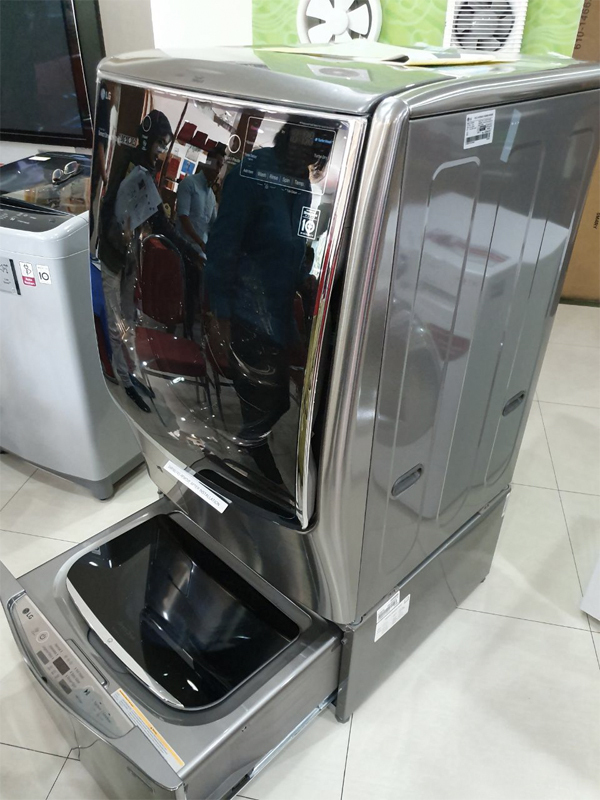 Hence, training is very important in order for the staff to be fully equipped with the product knowledge and know-how so the consumers can feel more confident on LG products. 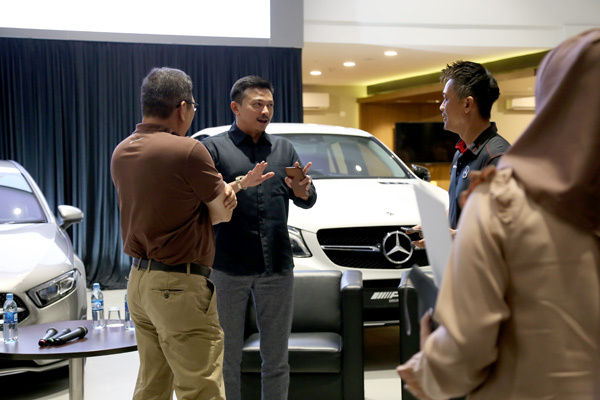 The training is normally conducted every one and a half year where the trainer is flown to Brunei as LG keeps introducing newer models/products. Hence training is very necessary. For your information, Aifa company is as old as Brunei Darussalam’s National Day. Our dinner session with the Aifa Team and a representative from MMW and LG. 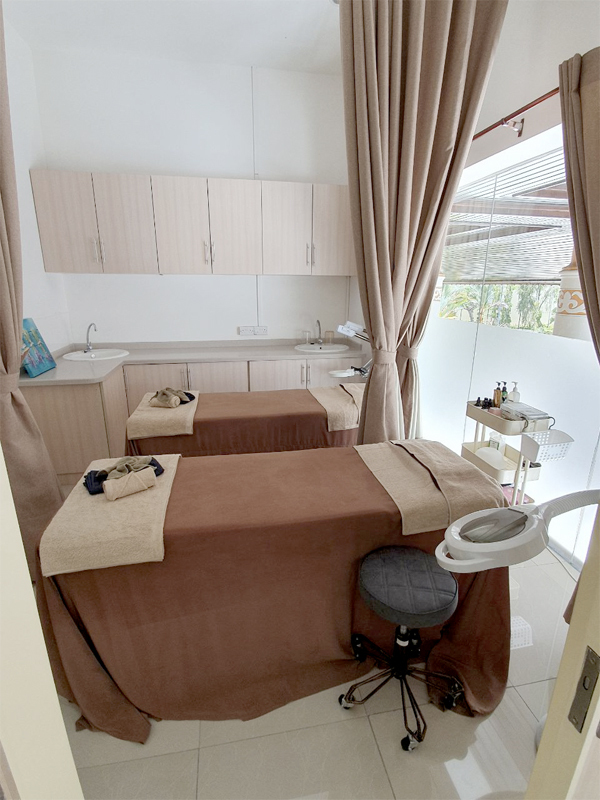 As Salwaa Beauty Spa, is a local Beauty establishment specialising in an all Natural & Organic Treatments for women. 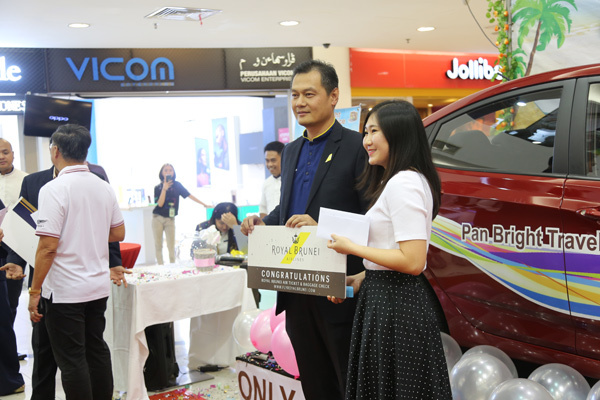 The event was officiated by its founder and General Manager, Ms Edy Zurina Awang. 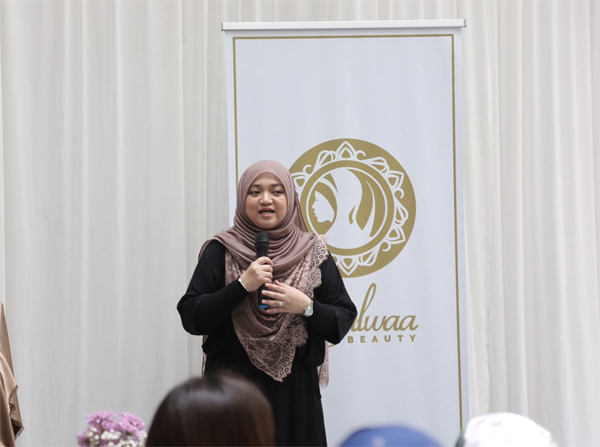 It was also held to appreciate their customers support for As Salwaa Beauty since it online selling days in 2014 to the opening of the original store in 2017 until its relocation in Yayasan Complex which has an enhanced ambience that aims to provide that hint of Luxury and comfort to its customers. 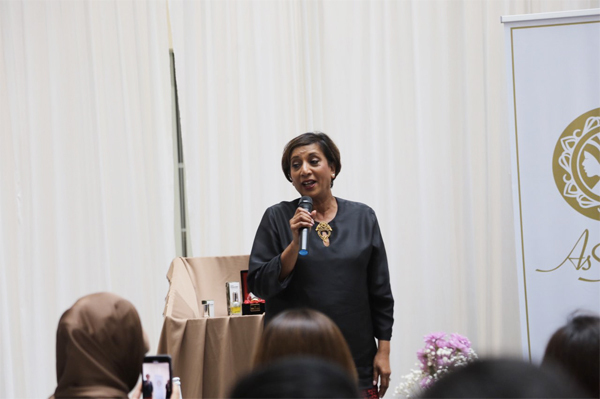 It was made even special with the launch of a Luxurious Oud Based Skincare product, Oud Essentials by Fragrance Du Bois (FDB), born in Nature crafted in France. 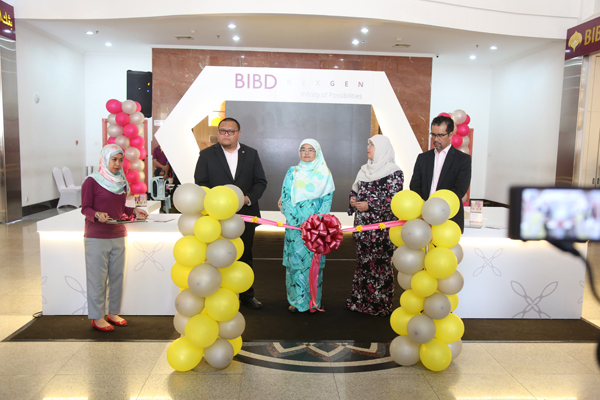 FDB were represented by Head of Operations Asia, Puan Anita Raphay based in Kuala Lumpur. All VIP guests were delightfully surprised with each getting 1 product from the Luxurious skincare line. This Luxury brand is currently only available in exclusive stores Internationally such as London Mayfair, Selfridges, Robinsons and Starhill Gallery Kuala Lumpur. 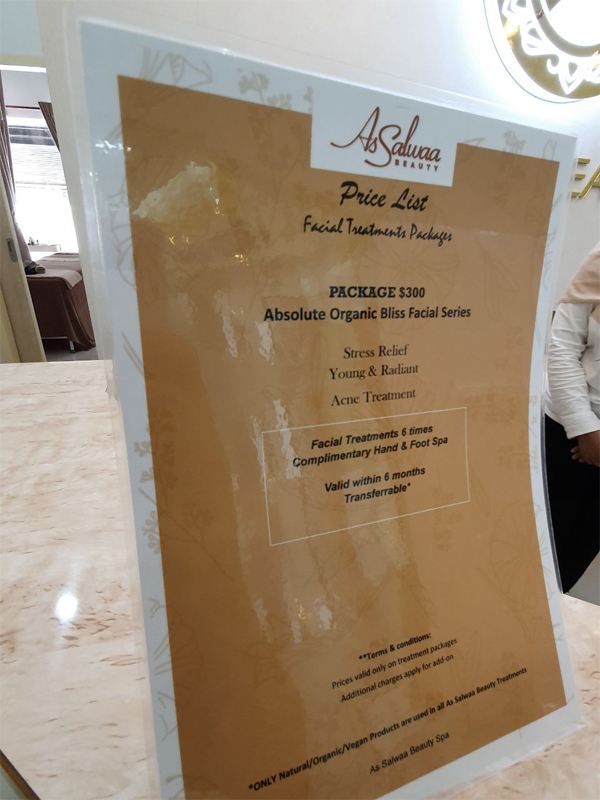 As Salwaa Beauty is honoured to be appointed as the Exclusive Distributor for this Luxurious Brand in Brunei. 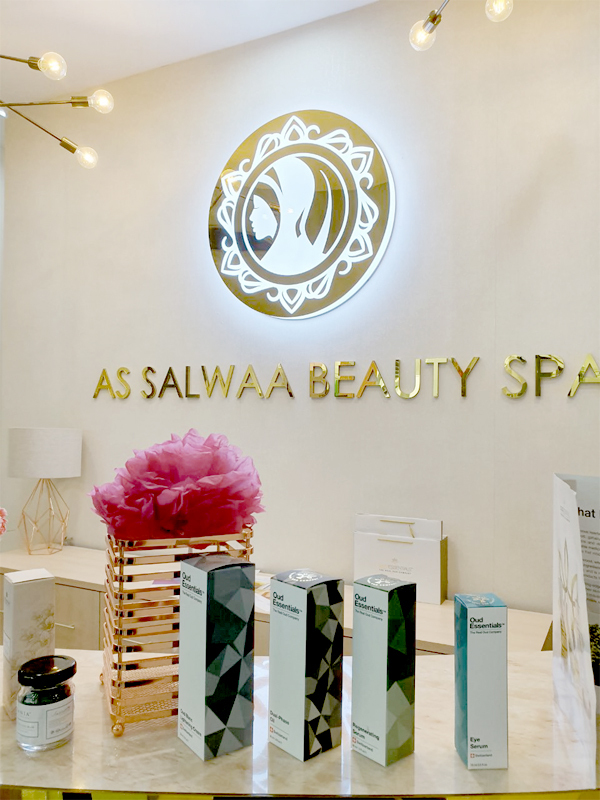 With its tagline “Your Beauty, Truly Naturally”, As Salwaa Beauty is a true believer in the benefits of Natural Products and avoids products that contains harmful synthetic chemicals in its ingredients. Brace yourselves KFC fans: one of the nation’s most popular KFC products has made a comeback. 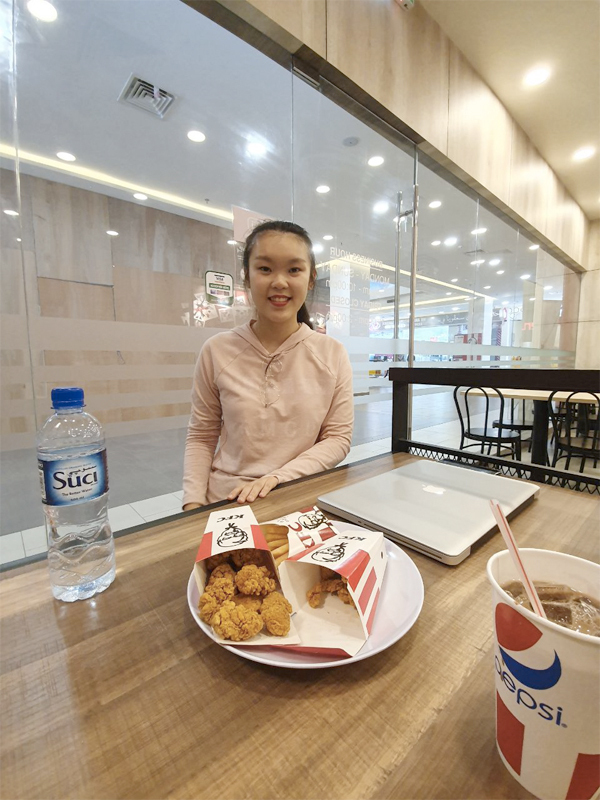 KFC Brunei is bringing back its iconic Popcorn Chicken by popular demand. This time with a new exciting Hot & Spicy flavour. Made with 100% real tender, juicy chicken, the KFC Popcorn Chicken returns bigger and better. Every ‘pop’ offers a satisfying crunch with a Hot & Spicy kick, giving you a guaranteed indulgence. Its portable format not only makes for a great on-the-go snack, it also works perfectly as an add-on to complete any of your favourite KFC meals. “It might have been gone from sight, but never from the hearts and minds of our KFC fans. Many have been asking for this comeback, and we hear you! We are extremely excited to bring back this much awaited iconic KFC Popcorn Chicken, another signature offering that we are truly proud of. Get it before its gone!” said Mr. Ooi, general manager of KFC Brunei. Enjoy KFC Hot & Spicy Popcorn Chicken À la carte from only BND 4.40. It is also available in combo with Crispier Fries and Pepsi and box meal which comes with an additional piece of chicken. 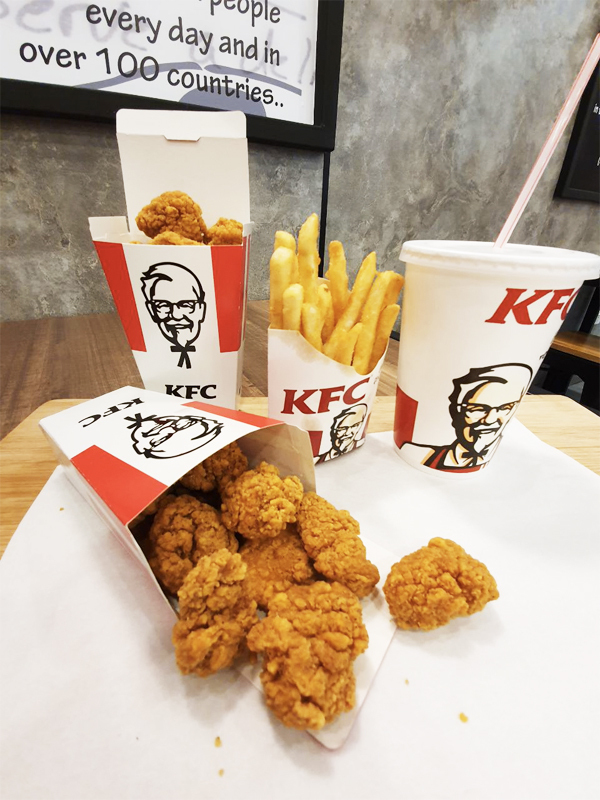 KFC Hot & Spicy Popcorn Chicken is available nationwide at all KFC restaurants from 2 April 2019, while stocks last.